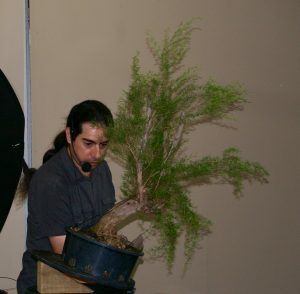 What a good meeting to start off the year! 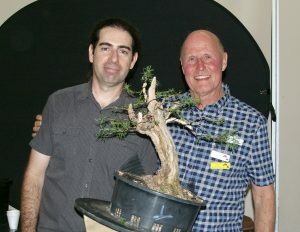 There was a great roll up of members for the presentation by Albert Garcia, who came from Brisbane to the VNBC meeting under the AABC Visiting Tutor Program to give a great demonstration of artistry and technique, as well as plenty of his personal knowledge and experience for our benefit. 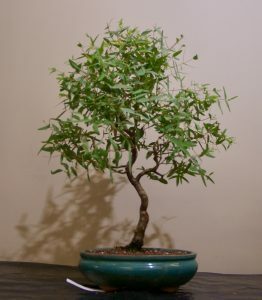 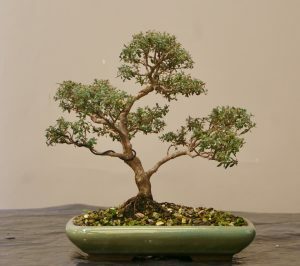 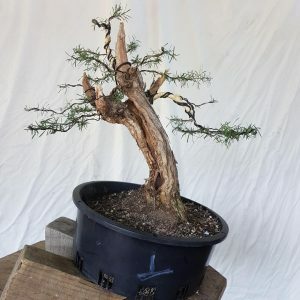 Albert took the raw material of a collected specimen of Kunzea ericoides provided by Quentin, which had plenty of heavy woody trunks and branches, as well as quite a strong degree of active foliage growth, and developed a very interesting future great bonsai. 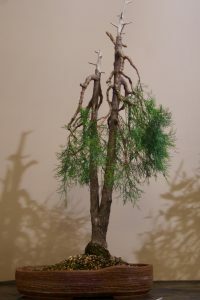 Albert used raffia to assist in his wiring of the tree, and created some great deadwood from the strong woody branches. 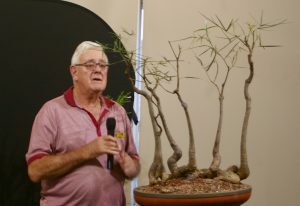 Along the way, Albert also talked through some of his experiences and philosophies, and provided a good range of information and ideas to club members. 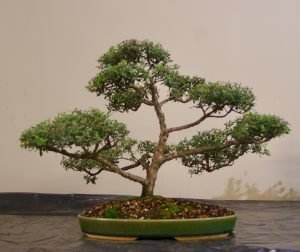 Prior to the main demonstration, Quentin reviewed a group planting of Brachychiton rupestris by Adrian. 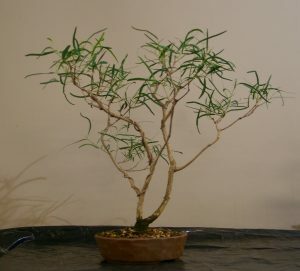 A number of interesting trees were also presented on the display table, including the following.